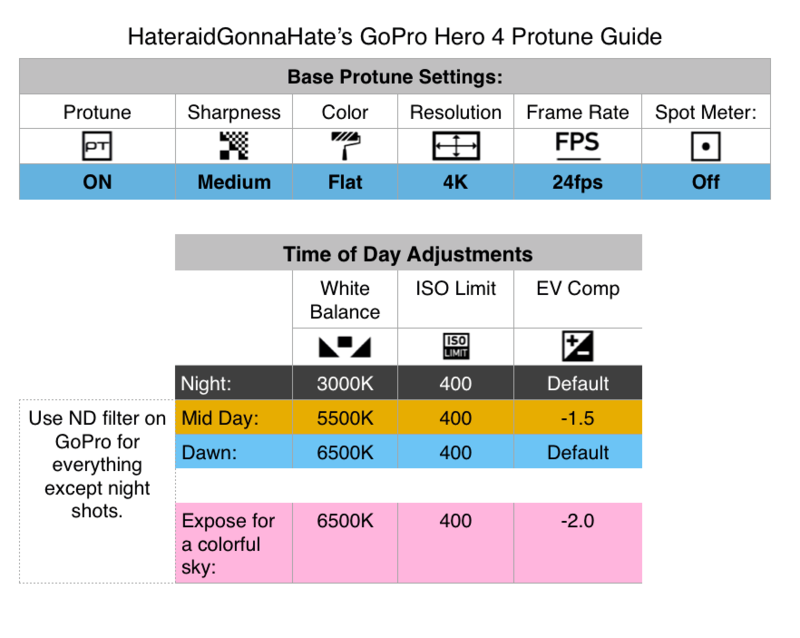 Redditor, HateraidGonnaHate, submitted an awesome post explaining the best ways to get the most out the GoPro 4 Protune settings. We took the text and worked with him to make a nifty little pocket guide that you can use on the field. Print it, bookmark it, or just save the image to your camera roll! Tagged dji, dji phantom, dji phantom 2 gopro 4 hero black, drones, gopro 4, gopro drones, hero 4 black, protune.